Choose the right Phoenix hotel, whether downtown near the historic center or in cosmopolitan Scottsdale, and get to know the city with this guide on where to stay in Phoenix. Dusty trails flanked by towering cacti, stylish cafés overlooking canals and vibrant red sunsets – unique encounters unfold on a Phoenix vacation. Book a Phoenix hotel and experience unforgettable moments in the Valley of the Sun. It may be surrounded by parched and alien-like desert, but Phoenix is a buzzing urban center boasting some fine shopping hotspots. Locals take their malls very seriously, and you’ll find endless variations on the concept here, from luxury designer fashion complexes to bargain-packed outlet malls. Scratch beneath the city’s surface and you’ll also find an ever-growing selection of independent shops, flea markets, and quirky fashion boutiques showcasing the work of local designers. A sprawling metropolis in the heart of the desert, the capital of Arizona is said to be the hottest city in the United States - literally. Set against a backdrop of parched and rugged mountains, this vibrant, modern destination is awash with glitzy shopping malls, world-class golf courses, and a thriving dining scene. Top-flight museums and no shortage of drinking and live music venues round things off nicely. Phoenix’s multicultural history is evident in the city’s increasingly exciting and varied dining scene. All-American staples dominate the landscape, with more steakhouses and diners than you could ever hope to sample, but you’ll find Hispanic and Native American-inspired dishes in many of these establishments. These are complemented by an appealing selection of gourmet Asian restaurants, authentic Italian pizzerias, and first-rate Mexican joints. Old stagecoaches, American Indian petroglyphs, desert concerts under the sunset – Phoenix is filled with cultural experiences new, old and ancient. Book a Phoenix hotel and unearth its riches with this guide to the top 10 cultural things to do in Phoenix. Spring vacations in Phoenix come alive with sunny-day shopping, mountain hikes and dinners under the setting sun. Book a spring hotel in Phoenix and indulge in its seasonal pleasures. A Phoenix short getaway is an excellent opportunity to discover this exciting city. Book a Phoenix hotel and experience the best with this two-day itinerary. Set in the desert, and surrounded by other-worldly, sun-scorched mountain landscapes, the city of Phoenix enjoys an appealingly far-flung location, yet has the attractions you'd expect from a major city. From impressive museums and culture, to parks with palm trees and exotic flowers, Phoenix has plenty for visitors to do and see. Once the sun sets over the desert, the city of Phoenix really comes to life, with nightlife ranging from busy clubs to sophisticated bars. Downtown is a particularly popular spot in the evening, hosting many of the city's favorite restaurants and drinking spots, and you'll often find events from independent film screenings to street parties taking place. Phoenix is a popular destination for families, with a wide choice of attractions geared towards younger visitors, including a museum specifically tailored to younger minds. Best of all, the city has some epic outdoor spaces, so whether you go on gentle mountain walks or explore sunny desert parks, your family will certainly expel some serious energy. Phoenix has invested heavily in the arts, from restoring the city's oldest venues to building modern cultural centers and facilities. Downtown Phoenix in particular is a hotspot for emerging artists, independent theater, and small galleries. 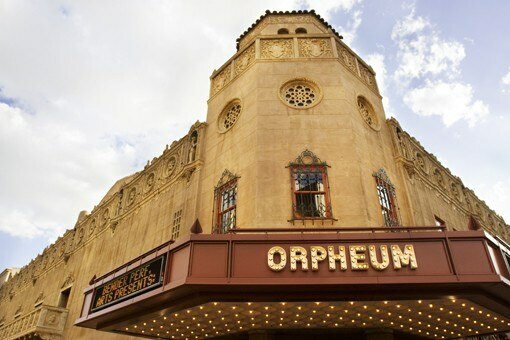 With its own opera, ballet, and symphony orchestra, Phoenix has firmly planted its flag on the American artistic map.